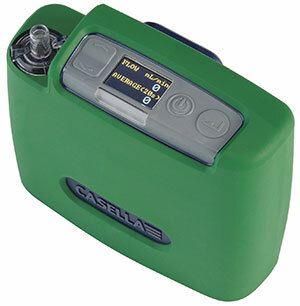 Very few companies are able to boast decades of experience in a particular industry never mind centuries, but Casella is one such company with over 200 years of experience and innovations in scientific and health monitoring equipment under their belt. It’s no wonder Business and Facilities News awards Casella with our Instrumentation Company of the Month for their industry leading advances and developments in noise, dust and vibration health monitoring equipment. Established in 1799, supplying instrumentation to influential figures, David Livingstone and Charles Darwin, Casella has undergone incredible change and growth over the 200 years into a leading global workplace and environmental health monitoring device company. 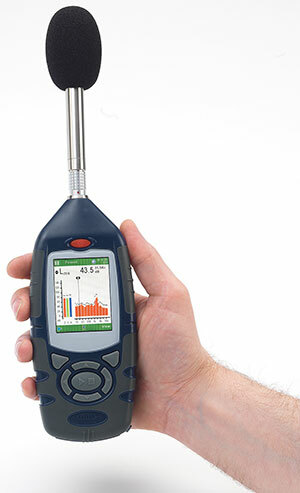 Their ability to develop market leading innovative measurement solutions to assess dust and noise exposure levels means that Casella remains perfectly positioned to offer simple to use, accurate and smart data solutions for occupational and environmental monitoring today and to help protect the health of future generations. The headquarters are in Bedford, England but Casella have offices in Europe, China, India, Australia and the US, as well as many distributors across the world, they are also part of the IDEAL Industries Group, which champions positive health relationships between employers and employees, and local communities. Their global aim is the promotion of positive health relationships between employers, employees and their local communities. Focusing on developing innovative products for the detection of dust, noise and vibration, their main drive is in Occupational and Environmental health monitoring equipment; that is, equipment designed to measure employee and community exposure levels to potential workplace and environmental site risks. Their tools are used to measure noise or dust in the workplace, which can have short and long term latent health effects on workers. As safety and environmental regulations have grown much tighter globally, it is becoming more important for employers to ensure they have adequate means to test the noise and dust pollution levels in their workplaces in order to ensure the safety of their workers and surrounding communities. 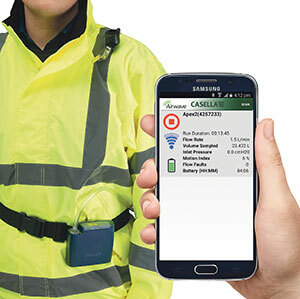 Casella have produced some of the world’s best air and noise sampling measurement technologies to aid this, and are leading the way in wireless automated operation without disturbing wearers, and smart monitoring data transmission via their Airwave app direct to nominated personnel. In February 2018 they launched the Flow Detective, an all-in-one airflow calibrator that can work either as a compact lab or field portable calibrator, boasting market leading features, such as high accuracy calibration within 2%, a 70 hour battery life and automated calibration within 10s seconds with Apex2 I.S air sampling pumps. Their latest addition to the range the Guardian2 site monitor, makes capturing environmental and construction dust, noise and vibration data easier than ever before. It allows simultaneous monitoring and reporting of noise, dust and vibration levels, as well as wind speed and direction for measurement of site emission and environmental pollution levels. The latest solar panel and battery power options mean it is now suitable for monitoring on construction and demolition sites where no hardwired power is available. Thanks to their wireless hardware and software systems, reports are sent directly to the user’s email giving live, accurate data with the ability to send warnings if levels come within pre-specified action limits or beyond. Always keen to show and promote their new innovative products and solutions, Casella can be found at many events in the UK and around the world. They can next be seen on 18th July 2018 at the Safety In Construction Show at the Roundhouse Derby, where they will be showcasing their products and presenting during the conference programme on monitoring best practice to reinforce their commitment to providing effective monitoring solutions and improving the health of workers and communities. Their products are incredibly well received and Casella encourage interaction with users to gain the invaluable feedback needed to continue their innovations. Their dBadge2 personal noise dosimeters and Microdust Pro real-time dust monitors are simple to use and ideal for those working with loud or potentially hazardous dusty operations, Or for people working on or situated near environmental sites, so measuring different risk levels around perimeters using real-time data. To find out more about the solutions Casella can offer for the protection of your employees and environment, or to talk to someone and get advice on the products and services they offer please contact below. This entry was posted in Company of the Month, Featured and tagged Instrumentation. Bookmark the permalink.